Taking a Closer Look at the Neglected “Pineal Gland” for Optimal Mental Health! The Pineal Gland is an endocrine gland sitting alone in the brain level with our eyes. The Pineal Gland is sometimes called the master gland since it is so important in our endocrine system. The Pineal Gland is also known as the pineal body, conarium or epiphysis cerebri. It is the shape of a pine cone, hence its name (1). The pineal gland is located in the epithalamus, near the center of the brain, between the two hemispheres, tucked in a groove where the two halves of the thalamus join. The pineal gland is the only midline brain structure that is unpaired(azygous). The gland is a reddish-gray and about the size of a grain of rice (5-8 mm). Unlike most of the human brain, the pineal brain is not isolated from the body by the blood-brain barrier system (2); it has profuse blood flow (3), second only to the kidney, supplied by the choroidal branches of the posterior cerebral artery. The pineal gland consists mainly of pinealocytes but four other cell types have been identified. They are Interstitial cells, perivascular phagocyte, pineal neurons and peptidergic neuron-like cells. Pinealocytes The pinealocytes consist of a cell body with 4–6 processes emerging. They produce and secrete melatonin. The pinealocytes can be stained by special silver impregnation methods. Their cytoplasm is slightly basophilic. With special stains, pinealocytes exhibit lengthy, branched cytoplasmic processes that extend to the connective septa and its blood vessels. Interstitial cells Interstitial cells are located between the pinealocytes. They have elongated nuclei and a cytoplasm that is stained darker than that of the pinealocytes. Perivascular phagocyte Many capillaries are present in the gland, and perivascular phagocytes are located close to these blood vessels. The perivascular phagocytes are antigen presenting cells. Pineal neurons In higher vertebrates neurons are usually located in the pineal gland. However, this is not the case in rodents. Peptidergic neuron-like cells In some species, neuronal-like peptidergic cells are present. These cells might have a paracrine regulatory function. The Pineal Gland is an endocrine gland sitting alone in the brain level with our eyes. The Pineal Gland is sometimes called the master gland since it is so important in our endocrine system. The Pineal Gland produces melatonin and regulates our sleep cycles and quality of our sleep. (4)(5) It also regulates puberty and plays a role in our sexual functions. (15) (16) Melatonin is responsible for fighting against free radicals. Serotonin the neurotransmitter responsible for our mood is transformed into melatonin only in the Pineal Gland. What affect does substance abuse have on the Pineal Gland? With the pineal gland controlling melatonin production and affecting serotonin and sleep, (5) It is easy to see how it affects certain substances abuse problems. Studies even show the pineal gland may influence the actions of recreational drugs. This is because the neurotransmitter serotonin works closely with the neurotransmitter dopamine, which is closely involved with substance abuse. When the pineal gland is not functioning effectively, the body may rely on dopamine more for “feeling good” than serotonin which may be in shorter supply with a less effective pineal gland. So how does the Pineal Gland get blocked? In some parts of the brain and in particular the pineal gland, there are calcium structures. The number of calcium structures which increases with age. These are called corpora arenaceal (or “acervuli,” or “brain sand”). Chemical analysis shows that they are composed of calcium phosphate, calcium carbonate, magnesium phosphate, and ammonium phosphate. (7) In 2002, deposits of the calcite form of calcium carbonate were described. (8) Calcium and phosphorus (9) deposits in the pineal gland have been linked with aging, Alzheimer’s, dementia, (10) and many other mental illnesses. Fluoride from water in our drinking water, food, and showers, enters our bloodstream and has a half-life of over 20 years, causing massive brain damage to unborn fetuses and gradually impairs IQ, as well as depressing cell growth rate (16). Most of the fluoride accumulates in the pineal gland which is the 2nd highest organ which receives blood-flow in the body. This “master gland is reduced in function hardened by electromagnetic fields (EMF) (13). This is wireless technology, cell phone towers, cell phones, “smart” meters and appliances to name a few. The pineal gland is especially sensitive to fluoride (11) (13) (14) which is in our water, many foods, tooth pastes and mouth washes. Likewise, foods laden with pesticides, preservatives and chemicals causes the pineal gland to become sluggish and lose its vitality and power. Other foods like sugar, simple carbohydrates, gluten, dairy, nicotine, caffeine and foods containing or made with GMO’s have all been shown through various clinical tests to have negative effects. Calcium supplements are thought to be harmful and it is better to gain the needed calcium through our diet and calcium rich foods such as almonds, leafy green vegetables and tahini. By helping detoxify the pineal gland we can do a lot to help with the mental diseases, Anxiety, Alzheimer’s/Dementia, PTSD, Depression, Bipolar Disorder, ADHD and many other mental illnesses. Not only mental illnesses but also other chronic diseases of which many are adversely affected by Inflammation. Promoting detoxification to refurbish this “master gland”, called the pineal gland, will help our overall health specifically neurological health. It is important to detoxify the body in order to decalcify the pineal gland. Our poor diets and contemporary fast paced lifestyle are the main causes of calcification of the pineal gland. Consuming calcium hydroxide rich water regularly will give numerous benefits. The foundation of the lifestyle changes made, is water. Drinking a calcium hydroxide rich water is highly recommended to start flushing out toxins. 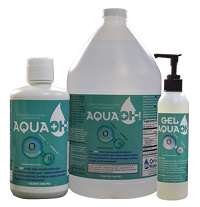 Hydroxide water(OH-) is usually used to help eliminate acidity (H+), which reduces acidosis, which causes inflammation. In this case, studies show the hydroxide ions that are not used to combine with H+, may combine with calcium forming calcium hydroxide, since hydroxide can pass through the blood-brain barrier, some of the calcium removed should be from the pineal gland, thus aiding in decalcification. This can affect the entire brain. 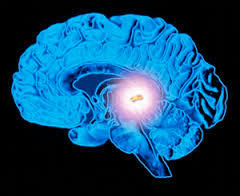 The advantage the pineal gland has as mentioned earlier, it is one of the few brain structures that is NOT in the BBB. Meaning, an easier route of de-calcification. (2) In addition, the pineal gland is the second highest blood flow rate in the human body. Detoxification is a two-part program; first to make sure no further calcification takes place and second, reversing the calcification that has already taken place. This can be done through nutrition and lifestyle behavior modifications. Stop or severely limit, sugar, simple carbohydrates, caffeine, gluten, additives, preservatives, dyes and alcohol. Eat organic, natural whole foods that do not have pesticides and genetic modification. Consider drinking 1-3 tablespoons of pure apple cider vinegar daily. Apple cider vinegar has been shown to promote an alkaline body chemistry reducing inflammation when combined with other healthy behavior modifications. Consume foods rich in iodine. Iodine rich foods include seaweed, kelp, cranberries, green beans, kale, dark leafy greens, bananas, shrimp, and lobster. Iodine supports optimal thyroid and pineal gland function while promoting the removal of fluoride from the body. Iodine can be harmful in high doses, consider a water-soluble supplement if at all to avoid toxic levels. Raw, organic chocolate is rich in antioxidants that fight free radicals and keep our brain healthy, promoting detoxification of the pineal gland. Not all chocolate is equal- 70% Cacao or more is the type of chocolate to promote benefits. Coconut oil nourishes the brain and detoxifies the pineal gland. 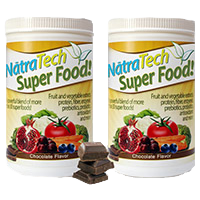 It is rich in medium-chain triglycerides, which are converted to ketones in the liver. Ketones in this capacity have been shown to restore neurons and nerve function in the brain. Coconut oil has been researched for Alzheimer’s disease benefits, reducing symptoms and progression. The minerals and antioxidants from this group of vegetables and herbs help detoxify and energize the pineal gland while nourishing the brain. Specific examples include: sprouts, parsley, cabbage, broccoli, and brussel sprouts. Spend time in the sun daily. Light reflected by the retina stimulates and energizes the pineal gland. Specifically, 20 minutes of indirect sunlight is recommended daily. Consume the recommended ounces of Calcium Hydroxide rich water daily. Consider Restorative exercise such as yoga, Pilates, Tai Chi, and/or meditation, to promote mindfulness and brain benefits. The health of the pineal gland is often overlooked in treating chronic disease specifically related to mental health, and Alzheimer’s disease. Making several small behavior modifications to nourish the brain and detoxify the pineal gland can improve overall health and well being long term. (1) Bowen, R. “The Pineal Gland and Melatonin”. Retrieved 14 October 2011. (4)Macchi M, Bruce J (2004). “Human pineal physiology and functional significance of melatonin”. Front Neuroendocrinol. 25 (3–4): 177–95. doi:10.1016/j.yfrne.2004.08.001. PMID 15589268. (5)Jump up ^ Arendt J, Skene DJ (2005). “Melatonin as a chronobiotic”. Sleep Med Rev. 9 (1): 25–39. doi:10.1016/j.smrv.2004.05.002. PMID 15649736. Exogenous melatonin has acute sleepiness-inducing and temperature-lowering effects during ‘biological daytime’, and when suitably timed (it is most effective around dusk and dawn) it will shift the phase of the human circadian clock (sleep, endogenous melatonin, core body temperature, cortisol) to earlier (advance phase shift) or later (delay phase shift) times. (7)Bocchi G, Valdre G (1993). “Physical, chemical, and mineralogical characterization of carbonate-hydroxyapatite concretions of the human pineal gland”. J Inorg Biochem. 49 (3): 209–20. doi:10.1016/0162-0134(93)80006-U. PMID 8381851. (9)“IngentaConnect High Accumulation of Calcium and Phosphorus in the Pineal Bodies”. Ingentaconnect.com. 2006-06-16. Retrieved 2009-07-06. (15) The Pineal Body”. Human Anatomy (Gray’s Anatomy). Retrieved 2011-09-07.